Shrewsbury Town manager Micky Mellon insists the struggling League One club still have ambition, despite the loss of so many of their best young players. The near £1m departure of Ryan Woods to Brentford on transfer deadline day was preceded by teenage goalkeeper Harry Lewis's move to Southampton. August also saw Brighton sign Connor Goldson and Josh Ginnelly join Burnley. "We have to understand where we are in the future. It makes us no less ambitious," said Town boss Mellon. Harry Lewis, the grandson of former Shrewsbury keeper Ken Mulhearn (part of the team that won promotion to the old Division Two in 1979) has already been capped by England at Under-18 level. He obviously draws comparison with England's current first-choice keeper Joe Hart. Lewis is two years younger than Hart was when he made his £500,000 move to Manchester City, a deal that was ultimately to triple in value - earning £500,000 based on appearances and then a further £500,000 on his first competitive start for England. "We just have to accept that, if a player want to go, there's not a great deal we can do about it. "We have to accept that Shrewsbury at this minute in time is the type of club where we produce talent, but then bigger clubs come and bat their eyelids at them and we then can't keep them." Mellon prefers to take the view that parents of prospective footballers will now view the Shropshire club as one from where their talented offspring have a visible line of career progression. "It's an opportunity for players who want to come here, as well as those who are already here, to know that they can go on the same pathway," he added. The price of selling the family jewels . . .
All four of Shrewsbury's summer sales have been for undisclosed fees. 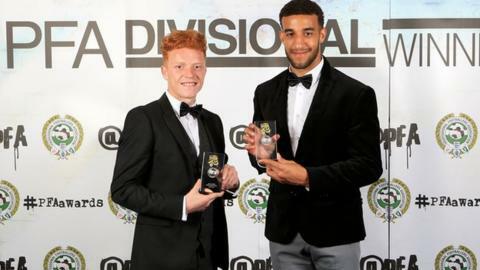 BBC Radio Shropshire reported Ryan Woods' transfer fee as being 'around £1m"' and Connor Goldson's fee as being as much as £900,000. Southampton are understood to have paid a six-figure fee for Harry Lewis, as did Burnley for Josh Ginnelly. "With hard work from the staff and the right mindset, players can massively improve and thrive. It has been fantastic to watch their progression of these four players over the last 18 months. And we hope there'll be many more." Mellon has already been told that he will not see much of the estimated £2m raised, as it will be spent on the Town's training ground at Sundorne, on the outskirts of Shrewsbury, as well as putting the club back on a stable financial footing. "The deals have secured Shrewsbury's future for the next few years at least," chief executive Matt Williams told BBC Radio Shropshire. "It was well documented that we suffered significant losses the year we got relegated. And we also incurred significant losses to get promoted last season. "These have been addressed with the sales. And something Micky has wanted since day one has been to improve the training facilities."